Finally we are getting some relief from the dry weather we have been having for a few months. Saturday, Sunday, and last night have been serious rain events. According to my little back yard rain gauge we have had approximately 7 inches of rain the past 3 days. 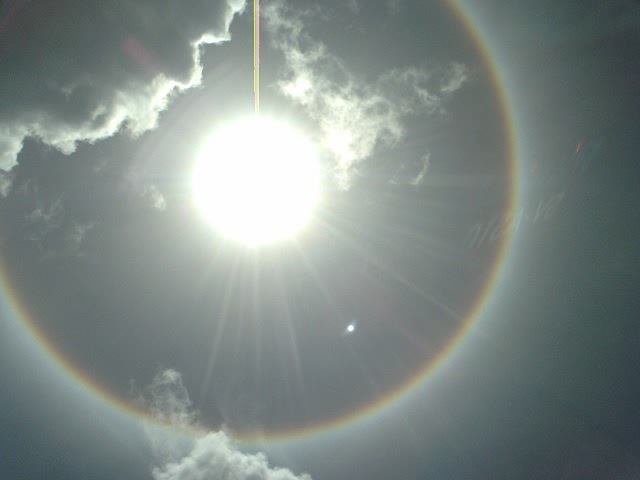 I did a good photo from the halo in St. Maarten, maybe you want to put it in the forum St.Maarten. 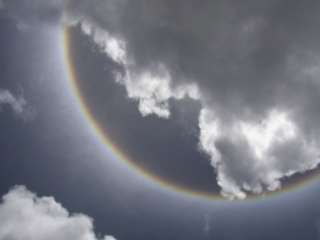 Somebody told me, the last time time they had a halo this kind in SXM was 1995 before Luis. Weeks later they had a second halo with two rings. What do you think about this. I found out that it is called a halo. also called a mock or dog sun? someone sent me this url and picture. We had a strange rainbow here this morning. I thought you might want to see a picture of it. It was a strange phenomenon. We just had a wonderful solid rainfall here a few minutes ago. This is the first it has rained in probably 2 months. I hope this signals the end of our drought. It's another beautiful day in the Caribbean but there is no wind. 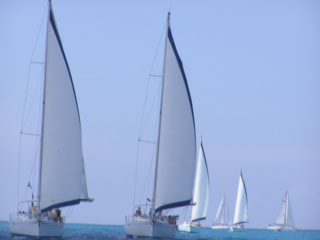 This has not been good news for the 25th annual Heineken Regatta currently taking place on St. Maarten. Over 275 boats registered were having hard times Friday and Saturday, with most of them sitting dead in the water. Today is the last day of sailing and it does not look any better. There is absolutely no wind. Tonight they will celebrate anyway and dance to the music of Jimmy Cliff. 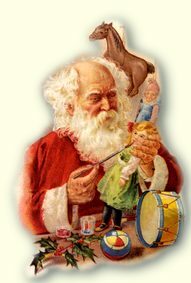 Christmas is almost here and I hope everyone enjoys the holidays! The weather is perfect! It is cool and comfortable with those wonderful trade winds blowing! This weather is what brings the tourists to the Caribbean in large numbers. 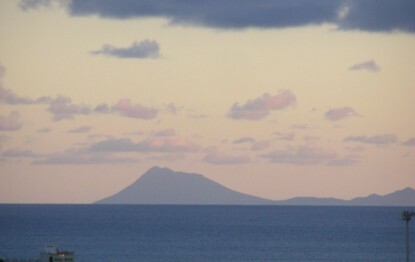 I thought you might enjoy this picture of Statia taken the other night from my balcony. The visibility is great these days. There was strong 6.0 earthquake near Guadeloupe this morning. it was felt here on St. Maarten also. Early reports state one was killed in Guadeloupe and several buildings on both Guadeloupe and Dominica have been damaged. If any one gets any further news, please post it here. It's been a cloudy and breezy day on St. Maarten. it looks like it is going to rain any minute but it actually hasn't rained since this morning. It's sure is chilly though. there is lots of wind! I guess the tourists had fun shopping in Philipsburg today. there were 4 ships in, including the QM2. Here is a picture of the QM2 and another ship passing her as they were leaving port tonight. It has been very hot and humid in St. Maarten the past few days. There is no wind at all. The usual trade winds have not been around because of the troughs in the western and central Atlantic that are dominating the usual ridge that always is north of the islands. Supposedly, in in the next couple of days a ridge will build to the north and that will bring the trade winds again. In the meantime, the sunsets have been beautiful. The weather is the Caribbean has been beautiful lately. It looks like the Cape Verde season is winding down and ,thankfully, St. Maarten and it's close neighbors have had no storms. We hope our other Caribbean neighbors who have had storms bounce back quickly. The sea is as calm as a lake and the visibility is awesome. We took this picture of Saba today, from St. Maarten. GREAT BAY, St. Maarten (GIS) - The Office of Fire and Disaster Management & Preparedness is calling on residents to stay focused for the next couple of weeks because the hurricane season is not yet over. The season so far has been a busy one and at the moment there are four systems churning out in the Atlantic and the Gulf of Mexico. None of the storm systems pose a threat to St. Maarten, however residents must still maintain a certain level of preparedness and be prepared to protect lives and property when called upon to do so. All systems to date have missed the island and residents should not let their guard down since we are currently in a lull period at the peak of the hurricane season. Raoul Illidge Sports Complex (Cay Hill), Leonard Connor School (Cole Bay/Cay Bay), Christian Fellowship Church (Cole Bay/Cay Bay), Salvation Army Building (Cole Bay), Milton Peters College (Cul-de-Sac, St. Peters, South Reward), Hillside Christian School (Cul-de-Sac, St. Peters, South Reward), Dutch Quarter Community Center (Lower Princess Quarter/Zorg en Rust), Sister Marie Laurens School (Middle Region), New Testament Baptist Church (Philipsburg), Senior Citizen's Recreation Center (Suckergarden/Upper Princess Quarter), Simpson Bay Community Center (Simpson Bay), Leopold Bell School (Cole Bay/Cay Bay), Genevieve de Weever School (Hope Estate), and the John Larmonie Center (Philipsburg). The hurricane season does not conclude until November 30 - Be Prepared. "The Value of Knowing First." GREAT BAY, St. Maarten (GIS) - Office of Fire and Disaster Preparedness & Management (ODPM), would like to inform the St. Maarten community that as of 5.00PM Tuesday, the Tropical Storm Warning for St. Maarten has been discontinued. Tropical Storm Jeanne is South of the area approximately 80 miles South of St. Maarten on its way to the U.S. Virgin Islands and Puerto Rico. The system is moving towards the West-Northwest at 10 miles per hour (mph) with maximum sustained winds near 60 mph associated with higher gusts. Some strengthening is predicted and Jeanne could become a Hurricane on Thursday. By that time Jeanne will be well away from the St. Maarten area. This is the last special bulletin to be issued by the Office of Fire and Disaster Preparedness & Management with reference to Tropical Storm Jeanne. We are getting very little rain from Jeanne so far. It has been cloudy and drizzling all day, but no heavy amounts of rain...no downpours. It has been breezy and there are higher gusts. At 5 PM, the tropical storm warning for us has been discontinued. Jeanne is passing south of us so we will not have major problems from her. I am afraid she might be a hurricane by the time she gets to Puerto Rico though. I think PR will take a heavy blow from Jeanne. GREAT BAY, St. Maarten (GIS) - Office of Disaster Preparedness & Management (ODPM), is continuing to monitor the progress of Tropical Storm Jeanne which was located at 2.00PM approximately 80 miles South of St. Maarten. The Tropical Storm Watch issued Monday afternoon for St. Maarten has now been upgraded to a Tropical Storm Warning. A Small Craft Warning; a high surf advisory and a flash flood advisory are also in effect. A Tropical Storm Warning entails that tropical storm conditions are possible within 24 hours or less. The system is moving towards the West-Northwest at 10 miles per hour (mph) with maximum sustained winds near 50 mph associated with higher gusts. According to the Netherlands Antilles & Aruba Meteorological Service, Tropical Storm Jeanne is expected to pass approximately 80 miles South of St. Maarten during the course of Tuesday. The system is expected to bring showers and thunderstorms, which at times may be heavy accompanied with strong gusts today. Because of the anticipated gusty winds and rough seas, owners of small craft are advised not to go out of port. Residents are advised to continue to closely monitor weather reports throughout Tuesday until Tropical Storm Jeanne has cleared the island chain and to drive with caution around hilly areas and low lying areas where there may be excessive water from anticipated rain. GREAT BAY, St. Maarten (GIS) - Office of Disaster Preparedness & Management (ODPM), is calling on the St. Maarten community to monitor weather bulletins tonight (Monday) and Tuesday with reference to the progress of Tropical Depression #11 which was located at 5.00PM 70 miles East-Southeast of Guadeloupe. St. Maarten has been placed under a Tropical Storm Watch & Small Craft Warning as of 5.00PM Monday. A Tropical Storm Watch entails that tropical storm conditions are possible within 36 hours, however the system is not yet a tropical storm, but has the potential. The system is moving towards the West North West at 12 miles per hour (mph) with maximum sustained winds near 30 mph associated with higher gusts. The possibility exist that St. Maarten could receive gusty winds to gale force associated with showers and thunderstorms that may occur tonight and Tuesday. According to the Netherlands Antilles & Aruba Meteorological Service, the depression is expected to pass approximately 60 miles South of St. Maarten on Tuesday. Based on the Monday 5.00PM weather bulletin from the National Hurricane Center (NHC), the system could become Tropical Storm Jeanne on Tuesday based on forecasts from the NHC. Higher winds, possibly to tropical storm strength can be expected over higher terrain close to the path of the depression. Weather conditions should start to deteriorate tonight and on Tuesday. Conditions could entail five to seven foot seas occasionally and high surf. Rainfall accumulations of four to six inches with isolated higher amounts can be expected near the path of the depression. St. Maarten could expect a lot of rain causing flash flooding. Residents are advised to be aware of rock slides in hilly areas and to drive with caution due to anticipated excessive rainfall. Residents are advised to closely monitor weather reports throughout Tuesday until the tropical depression has cleared the island chain. The emergency disaster management system comprising of 10 Emergency Support Functions will continue to monitor the progress of Tropical Depression #11. At the same time, Governor Franklyn Richards, is expressing sympathy and prayers to the governments and the people of Jamaica and the Cayman Islands after the passing of Hurricane Ivan over the weekend. "Hurricane Ivan has caused widespread death and destruction throughout the Caribbean. Our prayers and thoughts are now with the people of Cuba, the Florida Panhandle and surrounding U.S. states where Ivan is now heading. "On behalf of the people and Island Government of St. Maarten, I would like to express my thoughts and prayers with the St. Maarten Jamaican and Grenadian communities," Governor Richards told the Government Information Service (GIS) on Monday. WATCH FOR THE BRITISH VIRGIN ISLANDS. A TROPICAL STORM WATCH FOR SABA...ST. EUSTATIUS...AND ST. MARTEEN. 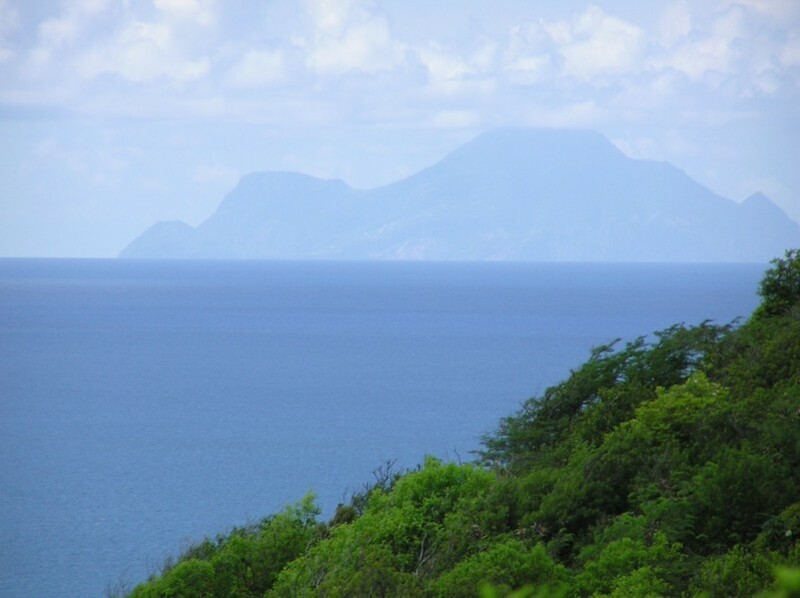 NORTHEN LESSER ANTILLES TO THE NORTH OF GUADELOUPE. OR ABOUT   70 MILES... 110 KM...EAST-SOUTHEAST OF GUADELOUPE. AMOUNTS...CAN BE EXPECTED NEAR THE PATH OF THE DEPRESSION. 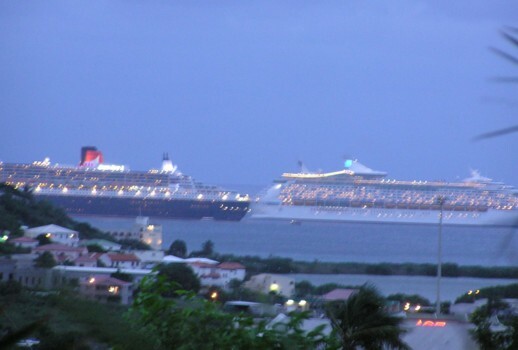 A heavy thunderstorm struck St. Maarten early Sunday morning around dawn. The thunder and lightening were incredibly heavy and we had about 3 inches of rain in a couple of hours. My little home rain gauge in the garden actually measured 3.5 inches. The island needed the rain and we thank God there was nothing worse, as Grenada, Jamaica and the Cayman Islands have been experiencing. Now, while we are still watching Ivan damage and destroy, there is a new disturbance East of the islands. of the western tip of Cuba. this weather system over the next couple of days. The St. Maarten Red Cross and the Seventh Day Adventists Church are acting as collection points for relief items for the people of Grenada. Monetary donations are being accepted at RBTT Bank on St. Maarten. A container of relief materials was already tentatively scheduled to leave the island today. The Red Cross Brigades on the islands of Saba and St. Eustatius are also collecting relief materials for the people of Grenada. I heard that a contingent of the St. Maarten Red Cross won't be deploying to Grenada as was anticipated, however they will be on standby to go to Jamaica. Red Cross Brigades in the Southern Caribbean will focus on Grenada while other brigades in the Northern and Western Caribbean will focus on Jamaica. Residents have also been sensitized to be prepared to assists Jamaica with respect to relief items. The St. Maarten Red Cross Brigade is awaiting an order to deploy to Grenada. Private citizens and some churches are mobilizing to help the people of Grenada. A call has been made for people to donate building materials, clothes, bottled water, generators etc. for the people of Grenada. Will provide additional information as this becomes available. GREAT BAY, St. Maarten (GIS) - Governor Franklyn Richards was in contact with his colleagues on Thursday morning from Curacao with respect to an assessment of the situation on the island related to the passing of Hurricane Ivan. Governor Richards, who chairs the Emergency Operations Center (EOC), was informed that emergency assistance was no longer necessary and he instructed Disaster Coordinator Fire Commander Winston Salomon to stand-down with reference to the deployment of emergency personnel. On Wednesday the EOC and Emergency Support Functions were placed on standby to provide assistance to the ABC islands, however Category 4 Hurricane Ivan brushed the islands causing only minor damage. The heaviest winds associated with a hurricane are on the North side of the system. Hurricane Ivan passed approximately 95 miles North of the ABC islands on Wednesday night. Approximately 68 persons from the Emergency Support Functions Fire Dept., Public Works, Gebe, Telem and Sector Health Care Affairs, were mobilized for possible deployment to Aruba, Bonaire and Curacao to provide assistance. The Fire Department personnel amounted to 12 which included fire fighters also from Saba and St. Eustatius. St. Maarten Governor Franklyn Richards received a call on Wednesday from Antillean Minister of Interior & Constitutional Affairs Richard Gibson who made the request for assistance should the need arise. Disaster Coordinator Salomon Winston Salomon told the Government Information Service (GIS) on Thursday morning that he would like to thank the ESFs as well as the Fire Departments of Saba and St. Eustatius for their quick response in mobilizing personnel for the disaster recovery effort if immediate deployment was required on Thursday. "Our disaster management system has come a long way and people can feel confident that we have a system that can respond and deal with disasters on or off island," Disaster Coordinator Salomon said on Thursday. Mobilization of personnel were as follows: Telem 13, Public Works 5, Fire Departments St. Maarten, Saba and St. Eustatius 12, Medical personnel including non governmental organizations 30, Hygiene Department 4, and Preventative Health Department 4. The deployment of emergency personnel to the ABC islands would have been transported by the Dutch military that had two aircraft stationed at the Princess Juliana International Airport. 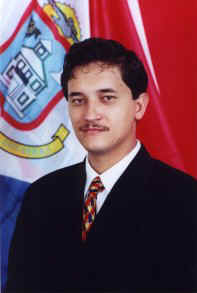 Salomon added that the official channels would have been followed via the Governor-General of the Netherlands Antilles for such a request related to the transportation of the emergency personnel via military aircraft. My heart goes out to those in Grenada trying to cope with their destruction and loss. Eventhough Hurricane Ivan is over 500 miles from St. Maarten, he is still sending 8 to 10 foot swells our way. We started to see sea swells from early Tuesday morning, and by Wednesday morning they were a little larger. This evening they are battering the coastline. The road next to the airport is covered with sand from the beach. Our thoughts and prayers go out to those in Grenada and to all the others who have been affected by Hurrican Ivan. I've heard a radio broadcast carried this evening on our local TV news program where they are reporting up to 24 deaths in Grenada. I've heard various numbers from three to nine and now 24. Only after a thorough assessment will we know exactly how many fell victim. GREAT BAY, St. Maarten (GIS) � Chairman of St. Maarten�s Emergency Operations Center (EOC) Governor Franklyn Richards, has placed the EOC on standby. Disaster Coordinator Fire Commander Winston Salomon told the Government Information Service (GIS) on Wednesday that the Emergency Support Functions Fire Dept., Public Works, Gebe, Telem and Sector Health Care Affairs, are mobilizing resources for possible deployment to Aruba, Bonaire and Curacao (ABC islands) to provide assistance. Governor Richards received a call from Antillean Minister of Interior & Constitutional Affairs Richard Gibson on Wednesday afternoon who made the request for assistance should the need arise. �On behalf of the people and Government, our thoughts and prayers are with the people of the ABC islands. St. Maarten in the pasts received assistance from the ABC islands after the passing of Hurricane Luis in 1995. We are now being called upon to assists our brethren which we will do. �The EOC will closely monitor the situation in the ABC islands and members of the emergency support functions will be ready for immediate deployment to the ABC islands should this be necessary,� Governor Richards said on Wednesday. Governor Richards was also in contact with Curacao�s Governor Lisa Richards-Dindial and Bonaire�s Governor Herbert Domacasse on Wednesday morning and afternoon discussing the hurricane threat as well as preparations. Disaster Coordinator Salomon told GIS that his office has been in contact with the Fire Depts. of the ABC islands since Tuesday. On Wednesday he also spoke with representatives from the Antillean Disaster Management & Preparedness Organization Stirana with reference to the coordination of and deployment of disaster assistance and recovery teams. Reports reaching the EOC is that nine emergency shelters have been opened on Curacao. Residents living in coastal areas have been requested to evacuate to a safer location. The Dutch military in Curacao and Aruba have been placed on standby and are ready to render assistance when requested. A detachment of 30 marines and disaster materials and equipment has been sent to Bonaire. All flights (KLM, DCA, BonaireExel) to the ABC islands have been canceled according to media reports. GREAT BAY, St. Maarten (GIS) - Chairman of the Emergency Operations Center (EOC) Governor Franklyn Richards is calling on residents to closely monitor the progress of major Category 4 Hurricane Ivan during the next three days. Over the weekend Hurricane Ivan strengthened from a Tropical Storm to a Category 4 on the Saffir-Simpson Intensity Scale of 1 to 5. According to the National Hurricane Center (NHC) in Miami, it is unprecedented to have a hurricane this strong at such a low latitude in the Atlantic Ocean. Hurricane Ivan at 8.00PM on Sunday was located over 700 miles from Barbados and had winds of 135 miles per hour with higher gusts. Ivan has the possibility to strengthen further during the next 24 hours. The Office of Fire and Disaster Preparedness & Management (OFDPM) along with the other nine Emergency Support Functions (ESFs) will continue to closely monitor the progress of Hurricane Ivan. Residents will be kept informed concerning the progress of Hurricane Ivan and whether any actions will be required in the coming days with respect to tropical storm warnings and watches. We watch the destruction of Florida and the Bahamas by Frances. We thank God she missed us, and we feel terrible for the folks she is impacting now..
And now we see Ivan, which has strengthened dramatically in a short time. This storm will definitely impact some of the islands, and that is very scary. The current track has her passing South of St Maarten, but we all know how that track can change. I know our brothers and sisters South of us are watching Ivan very carefully too. Good luck to us all in the coming days! GREAT BAY, St. Maarten (GIS) - Governor Franklyn Richards is calling on the nation to reflect on Sunday, September 5, the ninth anniversary of the Hurricane Luis disaster. "It is fitting to reflect on what happened on that day nine years ago and where we are today. Our nation pulled together in that time of difficulty with determination to rebuild our island-nation. Let me assure and reassure you that we overcame that peril and we can do it again if faced with a similar situation. "It is the resilience of the people that have brought St. Maarten back. Earlier this week as a nation we were confronted once again with one of nature's fury's Hurricane Frances that passed dangerously close to St. Maarten. "On Sunday as we reflect as a nation, let the importance of being prepared be your guiding principle. Preparedness is the key in mitigating serious damage. "Our island nation structurally is better prepared today than in 1995. We would be able to recover much more quickly and be open for business after a hurricane strike. This is because considerable investments have been made in placing our power grid and telecommunications systems underground. Many persons have rebuilt stronger and better because of the Luis experience. "I would like to conclude by saying when making final preparations for a storm/hurricane strike; do so not in panic, but with a clear and steadfast resolve. Remember to always be prepared from the very beginning of the hurricane season," Governor Richards told the Government Information Service (GIS) on Friday. GREAT BAY, St. Maarten (GIS) - Hurricane forecaster William Gray forecasts five named storms for the month of September of which three will become hurricanes and two will become a major hurricane. Tropical Storm Ivan is currently churning out in the Atlantic Ocean and is no threat to land at this time. This system would be the first of five forecasts for the month of September. Professor Gray in early August downgraded his forecasts from 14 to 13 named storms for the 2004 hurricane season. However, Gray is now anticipating a higher than the full season activity that was anticipated in earlier forecasts. According to Gray, the month of August represented a near record of activity and above-average activity is expected for September while below-average activity is forecast for October - overall a quite active hurricane season and in keeping with the high amounts in hurricane activity of seven of the last nine seasons. To date the Atlantic Hurricane Season has seen the formation of nine named storms which now leaves seven more to go. Those already formed for the season are, Alex, Bonnie, Charley, Danielle, Earl, Frances, Gaston, Hermine and Ivan. Gray says in his latest forecasts released on Friday that he expects this to be the eighth of the last 10 seasons that have had hurricane activity much above the last 55-years average and particularly the suppressed activity of the quarter century period of 1970 - 1994. Bearing the aforementioned in mind, Office of Fire and Disaster Preparedness & Management (OFDPM) Coordinator and Fire Commander Winston Salomon, residents should not let their guard down and to continue monitoring weather reports and maintain a certain level of preparedness until the end of the hurricane season. The hurricane season runs from June 01 through November 30. Thanks to all from the Bahamas and Turks and Caicos for their reports. So far so good for most of them, which is great news. and thanks to Gert for hosting this very valuable storm web site. Now we all worry and wait to see what Frances is going to do to Florida. In the meantime Ivan has formed and I don't like where the forecasted track might take her. GREAT BAY, St. Maarten (GIS) - The Emergency Alert System (EAS) which can be found on your radio FM 107.9 dial, is scheduled to be tested on Thursday at 9.00AM as part of the Fire Department and Office of Disaster Management & Preparedness Hurricane Awareness Campaign. Residents are advised to tune in to the following radio stations, FM 107.9, Laser 101, MIX FM 94.7, Oasis FM 96.3, Soualiga FM 99.9, and PJD-2 FM 102.7, to hear a pre-recorded message identifying that this is the EAS system being tested. Radio FM 107.9 public communication system is part of the Island Government's Office of Disaster Management & Preparedness which falls under the operational responsibility of the Government Information Service (GIS), Emergency Support Function (ESF 8) of the disaster management system. The Office of Disaster Management & Preparedness prior to the passing of Hurricane Frances planned a mini Hurricane Awareness campaign for early September and this will now be carried out using the various broadcast media. On Friday members of the community can tune in to Radio Soualiga 99.9 FM at 8.30AM with radio host Eddy Williams; PJD-2 Radio 1300AM on Monday at 12.00PM on View Point with host Lloyd Richardson; Tuesday at 5.00PM PJD-2 102.7FM on Now You Know with radio host Valerie van Putten; and on Wednesday PJD-2 Radio 1300AM on In the Backyard with host Ian Valz. The emergency broadcast test is the second one being performed for the 2004 Hurricane Season. All residents are advised to familiarize themselves with the tone of the emergency radio system as this would be used to alert the community with reference to a disaster situation. Messages and advisories would be issued via this system to the public with respect to the type of disaster and what measures should be taken. Their would be a simulcast broadcast on cooperating radio stations that are linked to the emergency broadcast system in order to reach as many people as possible within the community. The EAS is a new and improved emergency broadcast system that was set up after Hurricane Luis. The EAS system is designed primarily as a public information and warning system in the event of a Hurricane strike, but can be used for other types of disasters. GREAT BAY, St. Maarten (GIS) � Governor Franklyn Richards who is Chairman of the Emergency Operations Center (EOC) is thankful that all went well with the passing of major Hurricane Frances. Hurricane Frances a category three major system tracked dangerously close to St. Maarten on its westward track late Monday night through early Tuesday morning. Frances on Tuesday morning strengthened back to a category four hurricane. �We can consider this a close call and we have to be thankful that we have been spared. The EOC is grateful for the high level of cooperation that has been shown by residents and the business community in preparing for the anticipated threat of tropical storm conditions. �Despite not receiving the full anticipated tropical storm conditions based on weather bulletins and satellite pictures, the preparedness effort was still necessary and warranted. It was the island�s first major test of readiness for the 2004 hurricane season. �The island did experience deteriorated sea conditions, high swells and coastal/beach erosion along with superficial damage. Gale force winds were experienced. St. Maarten, the situation warranted on Monday action being taken to prepare for anticipated tropical storm conditions late Monday evening,� Governor Richards pointed out. Governor Richards added that the experience of category four Hurricane Charley in Florida two weeks ago when that system was forecasted to hit Tampa veered 75 miles off course into Punta Gorda causing more than two dozen deaths, leaving thousands homeless in its wake and over seven billion US dollars in damages. �The aforementioned case teaches us that we must never leave anything to chance but prepare and take the necessary precautionary measures needed to protect property and human life and to mitigate damage. �This is what the EOC did base on information from the Netherlands Antilles/Aruba Meteorological Service and the National Hurricane Center as it became available. I would like to conclude by calling on residents to continue to monitor weather reports and maintain a certain level of preparedness as should always be the case at the beginning of every hurricane season until November 30. �We have now entered the peak period of the hurricane season which runs from August 29 to September 27. Be prepared because it only takes one hurricane to destroy what has taken years to build. May God continue to protect and bless St. Maarten and its people,� Governor Franklyn Richards told the Government Information Service (GIS) on Tuesday afternoon. Fire Commander and Disaster Coordinator Winston Salomon told the GIS Tuesday that it was a good exercise and he would like to express sincere thank to the professionalism displayed by the Emergency Support Functions (ESFs) that played their respective roles during the past couple of days. �I would also like to thank the media for their support as well as the contractors who within short notice started pre-storm preparations. The St. Maarten community can feel confident that their disaster management system is up to par to deal with a storm or hurricane threat,� Disaster Coordinator Salomon said on Tuesday afternoon. GREAT BAY, St. Maarten - Managing Director of the St. Maarten Ports Authority (SMPA) Rommel Charles, says Hurricane Frances passed without a hitch to the island's multi-million dollar facilities; however he expects that the sea swells will continue to influence negatively docking conditions at the cargo and cruise quays for another day or two. "The state of the sea swells can only be judged on a day to day basis. I cannot foretell what will be the case on Wednesday when we have two cruise ships scheduled to call at the Port of St. Maarten. Thereafter the next scheduled cruise vessel is for Sunday, September 05 which would be the Pacific. "We don't have any cargo vessels scheduled for Wednesday or Thursday. On Tuesday harbor staff was busy bringing the port facility back to a post-hurricane status in preparation for regular cargo and cruise operations. We can only now wait and see how the sea state will be during the coming days. As the hurricane system moves farther away from our area, the current high swells should gradually subside and return to normal," SMPA Managing Director Rommel Charles reported on Tuesday afternoon. The two cruise vessels scheduled for Wednesday are the Carnival Triumph and the Caribbean Princess. On Tuesday the Adventure of the Seas cruise vessel was scheduled to call at the Port of St. Maarten, however it was expected that the vessel would not be able to call at the port due to the passing of Hurricane Frances North of the island and the very dangerous sea swells that would accompany the storm system. The Capt. Hodge Wharf did not sustain any heavy damage from the sea swells and once the seas subside, renovation works will continue at the wharf. On Monday all cargo operations at the Dr. A.C. Wathey Cruise & Cargo Facilities ceased until further notice as harbor authorities prepared for the approach of Hurricane Francis. SMPA activated its Hurricane Preparedness Plan in preparation for tropical storm conditions that were expected late Monday night through early Tuesday morning. PASSING OF HURRICANE FRANCIS, HAS BEEN DISCONTINUED. NOT TO VENTURE OUT OF PORT. OPENED FOR BUSINESS SINCE EARLY TODAY, TUESDAY. SCHOOLS ARE TO BE OPEN NORMALLY AS OF WEDNESDAY. THE ROAD LEADING TO THE BEACON HILL AREA. URGED TO MONITOR FURTHER WEATHER ADVISORIES. THE DURATION OF THE PRESENT 2004 HURRICANE SEASON. CONNECTION WITH THE PASSING OF HURRICANE FRANCES. Hurricane Frances did us nothing. I see swells in Philipsburg harbor. I spoke to a friend in Simpson Bay who said around 5:30 AM they were awakened by howling wind and heavy rain. it lasted maybe 35 minutes she said. Now just cloudy skies, slightly breezy, maybe some on and off rain showers. I'm trying to call my staff so we can open for business. I've seen worse weather from just a regular old front moving through. GREAT BAY, St. Maarten (GIS) - St. Maarten remains under a Tropical Storm Warning. As Chairman of the Emergency Operations Center (EOC), a number of steps have been taken by the various Emergency Support Functions in preparation for the approaching Category 3 Hurricane Frances. Due to the close proximity that Hurricane Frances will be passing St. Maarten, it was decided that the advisories issued over the weekend and throughout today Monday, were warranted seeing that Hurricane Frances is considered a major hurricane. The 5.00PM National Hurricane Center advisory states that there has been an increase in wind speed from 120 to 125 miles per hour since the last advisory issued at 2.00PM. Residents should have taken all necessary preparation for tropical storm conditions. For those who have not taken any measures as yet, you still have a few hours to do so. Hurricane Frances based on the 5.00PM advisory from the National Hurricane Center, is expected to pass approximately 100 miles North of St. Maarten early Tuesday morning. Due to the close proximity of the hurricane to the immediate area, - approximately 227 miles from St. Maarten at 5.00PM this afternoon - it was recommended mid-afternoon for residents to take all necessary preparations including closing storm shutters. Hurricane Frances is considered a dangerous powerful hurricane and we have to all be prepared for any eventuality. Storm conditions will be in the late evening hours and it would be unwise to go outdoors to close windows and doors during that time. We want to avoid people getting injured and therefore called, as early as in the month of June, for early storm preparations. We are expecting that Hurricane Frances will bring sustained winds of approximately 45 miles per hour with possible higher gusts; and two to four inches of rainfall. Tropical Storm force winds extend outward 140 miles from the center while hurricane force winds extend 70 miles from the hurricane center. A precautionary measure was taken to have schools closed on Tuesday due to the possibility of heavy rains that may be expected from Hurricane Frances. All Government services are closed and only vital government services will be on standby. Businesses are strongly advised to follow suit and to have their doors remain closed for the duration of Tuesday, in connection with the expected conditions of roads, associated with tropical storm conditions. The road network leading into St. Peters, South Reward and Saunders may be encumbered by water due to the overflow of the drainage basins as a result of heavy rainfall and this would pose a danger to vehicular traffic in the high density school area. Residents are requested to drive with care on Tuesday. Roads in low lying areas could be covered by sand due to high sea swells and motorists are advised to exercise caution in those areas. Caution should also be exercised when driving with reference to rock and mud slides above parts of the road network in certain areas on the island. Residents are advised to make sure that there yards and surrounding areas have been cleared of all loose lying objects which may form a threat to persons and property during possible storm conditions. Persons residing in less secure dwellings should have completed preparations for tropical storm conditions that may be expected in the course of early Tuesday morning. Residents are advised to continue to monitor broadcast media for official advisories and notices. For storm conditions such as what is now expected on St. Maarten, the island is as ready as it can be, under the circumstances, with the various ESF (Emergency Support Function) groups having completed most of their preparations for the 2004 hurricane season. Some 90 percent of the high voltage cabling is now underground, so that eventual resumption of electricity supply can take place at a faster pace, in the event that there is an interruption in service. Public Works on Monday, started preparations to lower water levels in the Fresh Water and Salt Pond, with the channel near Great Bay to be opened, should the need arise. Containers with disaster recovery material is ready for eventual use; should the need arise for assistance of other fire departments and members of the Dutch marine corps, this will be coordinated by the fire department. A large shipment of medical disaster material has been received, via STIRANA. Even though it has not been found necessary to open shelters, at this time, it should be noted that the available shelters have been checked and visited. The emergency public broadcast system, via the emergency radio frequency 107.9, is ready for use. This sector is also in a state of readiness and has its own plan of approach for any eventualities, and is ready to make a general assessment of the state of affairs with hotels, businesses, marinas and airline companies. The airport and seaport have activated their own contingency plans. As we await the passing of storm conditions associated with hurricane Frances, you are urged to remain calm and alert, to exercise caution and common sense and to monitor broadcast media for future official advisories . Do remain indoors until after the passing of the storm. Once more, we will be experiencing storm conditions, and not the hurricane itself. so we continue to watch  carefully. So far just cloudy skies. Very still with little wind right now.. cloudy skies..You can feel the humidity increasing. The air is very think and heavy. I hope all of us stay safe and my best wishes to all our friends and neighbors in the Bahamas and Turks and Caicos. GREAT BAY, St. Maarten - All cargo operations at the Dr. A.C. Wathey Cruise & Cargo Facilities have ceased until further notice as harbor authorities prepare for the approach of Hurricane Francis. Managing Director of the St. Maarten Ports Authority (SMPA) Rommel Charles, says that the SMPA has activated its Hurricane Preparedness Plan in preparation for tropical storm conditions that are expected within the next 24 hours. Charles added that the last cargo vessel at the cargo quay left port Sunday night. One cruise ship is scheduled for Tuesday, August 31. However it is uncertain whether conditions would be suitable for docking at that time. No cruise ships were scheduled for Monday. On Monday morning harbor personnel have been busy removing signs, potted plants, light fixtures, in preparation for storm conditions. The harbor grounds have also been inspected for any loose materials that could pose a threat. The cargo crane has been placed in hurricane position at a designated location. Containers located near the apron close to the quay are being removed further towards the hillside in case sea swells top the quay. "Ground swells have started to build and we are battening down and taking the necessary precautions to protect the facility. Our hurricane plan is well prepared in advance of the season and updated annually. "Precautionary preparations are also being undertaken at Harbor Point. We have also sent out our pilot boat for safe haven in the Simpson Bay Lagoon. We have been coordinating with the SLAC Lagoon Authority with reference to bridge openings etc. "We have made an assessment of the Great Bay Area as well as the Simpson Bay Area and advised the majority of vessels to seek safe haven. We have also informed shipping agents about our status in preparation for Hurricane Frances," Rommel Charles stated on Monday. 18.9N, 56.2W, Winds of 125MPH, Moving West at 8 MPH. Swells started at about noon, light but there. Beach at Maho is ALMOST GONE. There's SOME erosion at Kim-Sha. The 5:30PM bridge opening to the Lagoon was busier than usual but not heavy. The swells are building ahead of the storm. I'll bet that most, if not all, boats from Philipsburg will enter the Lagoon Monday Morning. Stay away from the bridge area at the 9:30AM opening unless you want to watch. IF...IF the storm continues heading WEST there'll be more boats arriving from as far away, possibly, as St. Kitts. I suspect that the last opening of the bridge will be Tuesday at 5:30PM. Now that the bridge has been widened, it can't open under the same wind conditions as before. I don't know what the MAX winds are to SAFELY open the bridge now.????? The swells will continue to build on the western side until well AFTER the storm passes, as it'll be to our North West. Cross your fingers and hope that it will return to its North West Track, or even better...DUE NORTH. GREAT BAY, St. Maarten (GIS) - St. Maarten is now under a Tropical Storm Warning. Chairman of the Emergency Operations Center (EOC) Governor Franklyn Richards is calling on residents to continue to closely monitor the progress of Category 3 major Hurricane Frances and to prepare for tropical storm conditions. Based on the 5.00am Monday August 30 advisory from the National Hurricane Center, a Tropical Storm Warning continues to be in effect for St. Maarten. Residents are advised to prepare to begin early for tropical storm conditions that could begin to affect the island within the next 24 hours with sustained winds at 55 miles per hour (mph) and possible higher gusts; and two to four inches of rainfall. Based on the Monday 5.00am advisory, Hurricane Frances is expected to pass less 120 miles North of St. Maarten or less late Monday night through early Tuesday morning. Contractors are being advised to activate contingency plans by securing building sites on Monday in preparation for tropical storm conditions that are expected late Monday night through early Tuesday morning. Persons residing in less secure dwellings are advised to prepare for tropical storm conditions that may be expected in the course of late Monday evening through Tuesday. At this point in time, it is not necessary to open hurricane shelters. Hurricane Frances classified now as a major Category 3 on the Saffir-Simpson Intensity Scale of 1 to 5, has not passed the islands of the North Eastern Caribbean including St. Maarten. Hurricane Francis was located approximately at 5.00AM Monday morning 380 miles North East of St. Maarten. A core group of the EOC met on Monday at 8.00AM to reassess the situation for St. Maarten since Sunday evening. The EOC will meet again on Monday at 5.30PM and residents are advised to continue to monitor broadcast media for official advisories and notices. We now can see that Hurricane Frances is getting closer as sea swells start to build along the South coasts of the South side of the island. Swells, approximately two feet have started to come into Great Bay harbor. Boaters have taken heed and sought safe shelter in one of the island's protective lagoons. The Island is already under a Tropical Storm Warning and the community has been informed to prepare for tropical storm conditions. Everyone is paying close attention and are beginning to prepare today. We are cleaning up our yard and my husband is going to move his boat today. I think we will also board up, at least the East facing windows. I do believe some minimal hurricane force winds might be possible, so the old adage hold true. Hoping all our Caribbean neighbors stay safe. Chairman of the Emergency Operations Center (EOC) Governor Franklyn Richards is calling on residents to continue to closely monitor the progress of Category 4 Hurricane Frances on Monday and Tuesday. Based on the 5.00pm Sunday August 29 advisory from the National Hurricane Center, a Tropical Storm Watch is now in effect for St. Maarten. Tropical storm conditions are possible within the next 36 hours with possible wind speeds of up to 50 miles per hour. Two to four inches of rainfall is expected. Based on the Sunday 5.00pm advisory, Hurricane Frances is expected to pass less than 200 miles North of St. Maarten on Monday midnight going into Tuesday. Contractors are being advised to activate contingency plans by securing building sites on Monday in preparation for tropical storm conditions that may be expected late Monday evening. Persons residing in less secure dwellings are advised to prepare for tropical storm conditions that may be expected in the course of Monday evening through Tuesday. Hurricane Frances, an intense major Category 4 on the Saffir-Simpson Intensity Scale of 1 to 5, has not passed the islands of the North Eastern Caribbean including St. Maarten. The Office of Fire and Disaster Preparedness & Management (OFDPM) along with the other nine Emergency Support Functions (ESFs) will continue to closely monitor the progress of Hurricane Frances. As a core group of the EOC met on Sunday evening, a Tropical Storm Watch was in effect for St. Maarten. The EOC assessed all information available pertaining to Hurricane Frances and will be meeting again on Monday morning at 8.00AM. Residents will be kept informed concerning the progress of Hurricane Frances and whether any additional actions will be required on Monday morning via the broadcast media. Tropical Storm Warning: Sustained winds within the range of 39 to 73 miles per hour are expected within a specified area within 24 hours or less. Flash Flood Watch: A weather watch issued when there is a potential for flash flooding in a specific area. A Flash Flood Warning is related to imminent flash floods and immediate action is necessary. Avoid driving on roads along hillsides that are susceptive to rock and mudslides. Hurricane Watch: A weather watch where there is a threat of hurricane conditions within 24 to 36 hours with wind speeds of more than 74 miles per hour. Hurricane Warning: A weather warning issued for an area where there is a threat of hurricane force winds of more than 74 miles per hour within 24 hours or less. Storm Surge: This entails an abnormal rise in sea level along the shore. Small Craft Marine Advisory: Sea conditions are expected to deteriorate and small craft should not venture out to sea. St. Maarten is under a tropical storm watch. It looks like Frances will pass approximately 100 miles to our north. As tropical storm force winds extend out 115 miles,. it looks like we may be in for a good blow. I assume people will be busy tomorrow tying things down. Here on St. Maarten, residents continued to carry out their weekend errands/things to do while monitoring very closely the progress of major Hurricane Frances. On Sunday people went to church, the beach, regular Sunday grocery shopping, visit family members in another district or just stayed home to relax. Disaster management officials continue to closely monitor the progress of Frances since it has now taken a more Westerly track across the Atlantic. Anticipation is that Monday residents will be informed what type of actions should be taken if any should Frances continue on its Westerly track through Tuesday when it is forecast to pass North of Anguilla, St. Maarten and St. Barths. 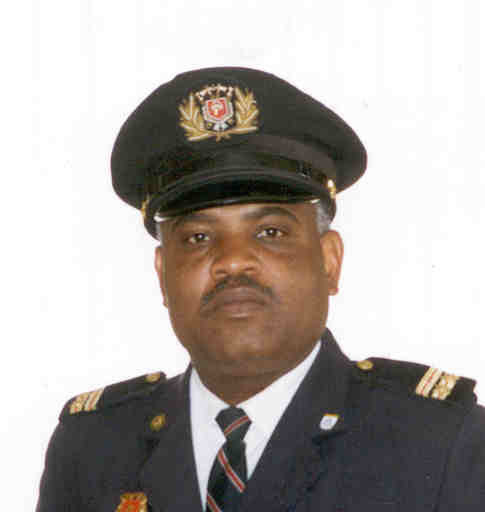 GREAT BAY, St. Maarten (GIS) - Chairman of the Emergency Operations Center (EOC) Lt. Governor Franklyn Richards is calling on residents to closely monitor the progress of Category 2 Hurricane Frances over the weekend. On Friday morning Hurricane Frances was upgraded from Category 1 on the Saffir-Simpson Intensity Scale of 1 to 5 to Category 2. According to the National Hurricane Center in Miami, Hurricane Frances is expected to strengthened during the next 24 hours and could become a Category 3 or major hurricane. Residents will be kept informed concerning the progress of Hurricane Frances and whether any actions will be required in the coming days with respect to hurricane warnings and watches. the computer models at this moment are beginning to line up in agreement and show Frances missing the islands. Let's hope that happens! We may have dodged this bullet! It is forecast to turn more North and avoid the islands. We still need to keep close eye on it however. TD #4 an #5 have both formed in the Atlantic. We will have to watch them both closely! Thanks to our Cuban correspondent for the storm report. I'm glad it was no worse. Hoping our friends in Florida stay safe! Wishing all the good people in Cuba and Florida good luck with Charley! 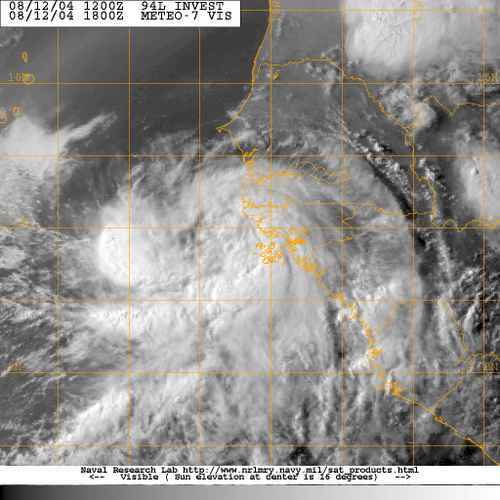 Is 94L INVEST going to be Danielle? It looks very strong already! GREAT BAY, St. Maarten (GIS) - Hurricane forecaster William Gray forecasts four named storms for the month of August of which three will become hurricanes and one will become a major hurricane. The month of August has already seen so far three named storms Hurricane Alex and currently Tropical Storm Bonnie and Tropical Storm Charley which now leaves one more system expected to form during the course of August. Bearing the aforementioned in mind, Office of Fire and Disaster Preparedness & Management (OFDPM) Coordinator and Fire Commander Winston Salomon, residents should not let their guard down as additional storm systems can still form during the month of August than the forecasts four. The OFDPM is reminding residents to continue to monitor weather reports and to make sure they have taken the following actions in preparation for the season. Hurricanes can be dangerous. Planning ahead can reduce the chances of injury or major property damage. Know where your Hurricane Emergency Shelters are located. If you don't have a listing, contact the OFDPM at 542-1215 for a listing of the shelters. Have disaster supplies on hand such as a flashlight and extra batteries; portable, battery-operated radio and extra batteries; first aid kit; non-perishable (canned food) and water; non-electric can opener; essential medicines; cash and credit cards; and sturdy shoes. Permanent shutters are the best protection. A lower-cost approach is to put up plywood panels. Use 1/2 inch plywood--marine plywood is best--cut to fit each window. Remember to mark which board fits which window. Pre-drill holes every 18 inches for screws. This should have been done before the hurricane started or in early June. If you haven't done this already, it should be done as soon as possible. Trim branches away from your home and cut all dead or weak branches on any trees on your property. Check into your Home and Auto Insurance and confirm that policies are valid and coverage is appropriate. Pets may not be allowed into emergency shelters for health and space reasons. Contact animal welfare organizations or your veterinary office for information on animal safety during hurricanes. Make sure that all family members know what to do. Teach family members how and when to turn off gas, electricity, and water. Teach children how and when to call police or the fire department and which radio station to tune to for emergency information. Professor William Gray of the Colorado State University issues six forecasts each year. His last forecast was issued on August 06 for the month of August only. GREAT BAY, St. Maarten (GIS) - Hurricane forecaster William Gray on Friday August 06 released an updated forecast for the 2004 Hurricane Season entailing a slight downward adjustment for the rest of the season. Instead of expecting 14 tropical storm systems to form, Gray is now predicting 13. The number of hurricanes has also been reduced from eight to seven; however three of those are forecast to become intense hurricanes. Office of Disaster Preparedness & Management (ODPM) Coordinator and Fire Commander Winston Salomon, calls on residents to continue to be vigilant and not to let their guard down in the coming months adding that the peak of the season - mid-September - still has to come. "As a community we are very much all aware that it only takes one hurricane strike to cause devastation and havoc. Our advice is to continue to monitor weather reports and make sure that you are prepared and that you have everything in place to take action within short notice to secure your home and business," Fire Commander Salomon said on Friday. Gray's latest forecast is based on new research along with current meteorological information through July 2004. Information obtained according to Gray's latest forecast indicates that the 2004 Atlantic hurricane season will still have above-average activity. Cloudy skies in St. Maarten. A few drops of rain here and there. a distant rumble of thunder. GREAT BAY, St. Maarten (GIS) - The Meteorological Service of the Netherlands Antilles has issued a Tropical Storm Watch and a Small Craft Warning for St. Maarten, Saba and St. Eustatius with respect to the approach of Tropical Depression #2. The system at 17.00/5.00PM was located 520 miles South East of St. Maarten; moving West at 23 miles per hour (mph); with maximum winds near the center of 29 mph. The system is expected to be a weak tropical storm when it passes the closest to the island on Wednesday, August 04 at 14.00/2.00PM passing approximately 180 miles South of St. Maarten. Although most of the activity from the system will be to the South of the islands, some squall lines may produce periods with showers and thunderstorm activity accompanied by gale force winds. Sea conditions are expected to deteriorate gradually tonight and become rough early Wednesday. Marine operators are urged to secure their vessels and not to venture out of port. Office of Disaster Preparedness & Management (ODPM) Coordinator and Fire Commander Winston Salomon, calls on residents to continue to monitor the progress of Tropical Depression #2 east of the Lesser Antilles island chain. The emergency disaster management system comprising of 10 Emergency Support Functions will continue to monitor the progress of Tropical Depression #2. The next weather advisory will be issued at 8.00AM on Wednesday, August 04. Tropical Storm Watch: Tropical Storm conditions are possible within 36 hours. Flash Flood Watch: A weather watch issued when there is a potential for flash flooding in a specific area. A Flash Flood Warning is related to imminent flash floods and immediate action is necessary. EDITOR NOTE: A revised advisory will follow. This one was issued at 15.15. GREAT BAY, St. Maarten (GIS) - Office of Disaster Preparedness & Management (ODPM) Coordinator and Fire Commander Winston Salomon, is calling on the St. Maarten community to monitor weather bulletins from the Meteorological Service with reference to the progress of Tropical Depression #2 east of the Lesser Antilles island chain. The Netherlands Antilles & Aruba Meteorological Service (Meteo) based on the 11.00AM weather bulletin has Tropical Depression #2 approximately 675 miles South East of St. Maarten. The system is moving towards the West at 21 miles per hour (mph) with maximum sustained winds at 30 mph. Based on the Tuesday 11.00AM weather bulletin, the depression is expected to pass South of St. Maarten on Wednesday afternoon. 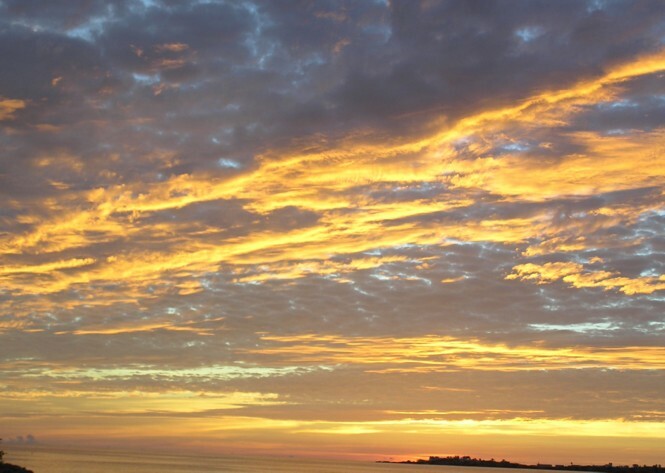 Weather conditions should start to deteriorate on Wednesday morning Conditions would entail rough seas, rain and an increase in winds speeds on a periodic basis. A TROPICAL STORM WATCH may be issued later Tuesday afternoon or early evening for St. Maarten, Saba and St. Eustatius once the progress of the depression has been evaluated. The Meteo Office will keep residents informed of further developments. Tropical Depression #2 poses no threat to St. Maarten at this point in time; however, residents are advised to closely monitor weather reports Tuesday afternoon and evening and throughout Wednesday. Disaster Coordinator Salomon told the Government Information Service (GIS) that the second tropical depression for the season is a reminder that things are starting to heat up and is therefore calling on the community to monitor daily weather reports for the rest of the season as Cape Verde systems in the Eastern Atlantic Ocean off the coast of Africa bear watching. The emergency disaster management system comprising of 10 Emergency Support Functions are monitoring the progress of Tropical Depression #2. GREAT BAY, St. Maarten (GIS) - Office of Disaster Management & Preparedness Coordinator and Fire Commander Winston Salomon and his two colleagues who are members of the Emergency Support Function (ESF) system Lionel Coombs and Tony Boyrard, are calling on building contractors and animal husbandry owners to have a plan in place to either secure or remove materials that could be a threat to private and public property. Head of Sector Environmental Development & Property Management (ROB) Emergency Support Function (ESF-3) Lionel Coombs told the Government Information Service (GIS), "There is a lot of construction taking place throughout the island at the moment. With us currently in the hurricane season, building contractors have the responsibility to secure their building sites properly prior to a hurricane strike. "Loose pieces of wood can become flying projectiles that can destroy secured homes and damage vehicles. For example, homeowner John B. has done all he can to secure his home, but the building contractor across the street did nothing to secure the building site. "A hurricane strikes the island and some of the pieces of lumber start flying around and one hits John B. 's roof. The wind uproots the galvanize and the roof starts to blow away. "John B. and his family are forced to leave their home during the raging hurricane to seek shelter at one of the Hurricane Emergency Shelters. All their belongings in what use to be their home have been destroyed and the family is left temporarily homeless. "The above is a clear and sad example of what could happen if building contractors don't have contingency plans in place prior to a hurricane strike." Head of Hygiene & Veterinarian Affairs at Sector Health Care Affairs Emergency Support Function (ESF-6) Tony Boyrard is also appealing to Animal Husbandry owners to take pro-active measures to secure their livestock holding areas (eg. pig pens). Fourteen named storms are expected to form during the season which officially started June 1 and runs until November 30. It is predicted that eight of these systems will become hurricanes, with three of those escalating into intense hurricanes with winds of more than 111 miles per hour. It's been raining all day on St. Maarten, as a tropical wave moves over the islands. Many activities have obviously been rained out. Happy Fourth of July to all Americans! GREAT BAY, St. Maarten (GIS) - Commissioner of Tourism and also with responsibility for the Fire Department Theo Heyliger, is calling on the business community to look at preparations and contingency planning for the 2004 Hurricane Season. "Every tourism related business has to factor into their annual planning, disaster management planning. Natural hazards such as hurricanes based on our own experiences demands that we prepare early. "The Island Governments disaster management system works closely with private sector organizations with respect to response and recovery; however each and every business has to also recognize that sustainable development is influenced by how the tourism sector manages its resources and infrastructure and how a natural hazard such as a hurricane would impact their operations. "There is a link between sustainable development and disaster management. I am appealing to the tourism sector of which many are already risk conscious to start reviewing their management response systems and pre-hurricane strike preparation plans in order to make sure that everything is in order and everyone knows exactly what they have to do," Commissioner Heyliger told the Government Information Service (GIS) on Tuesday. Colorado State University hurricane forecaster William Gray in early April presented an updated prediction of higher than average hurricane activity that would be nearly the equal of last year's actual storms. Fourteen named storms are expected to form during the season which officially starts June 01 and runs until November 30. It is predicted that eight of these will become hurricanes, with three of those escalating into intense hurricanes with winds of more than 111 miles per hour. Commissioner Heyliger concluded by saying, "Don't be caught off guard! Avoid the rush, be prepared!" GREAT BAY, St. Maarten (GIS) - Office of Disaster Management & Preparedness Coordinator and Fire Commander Winston Salomon, is calling on the St. Maarten community to start taking stock and preparing for the 2004 Hurricane Season. "The carnival season is over and the hurricane season is just about to begin. Residents have a little over three weeks to prepare themselves. We are urging early preparations rather than waiting for the last minute. "Don't be caught off guard. Avoid the rush and prepare early. The 2004 season is expected to be an active one, an above average season. "A prepared community will be able to withstand and recover much more quickly after being struck by a hurricane than a community that is unprepared," Commander Salomon told the Government Information Service (GIS) over the weekend. St Maarten, like most of the Northern Caribbean, has had days now of cloudy skies and showers. This morning we had a very heavy rainfall. Then the skies cleared and the sun came out. That lasted for about 20 minutes. You should have seen the traffic during those 20 minutes.. Everyone was waiting for the rain to stop so they could go out and do their Saturday chores.It was like the whole island was on the roads at one time. Well, this is what it looks like now..again! There is a tropical wave approaching from the East so it looks like the whole weekend will be rainy. It's only a few days until the start of hurricane season! The tropical waves are right on schedule!